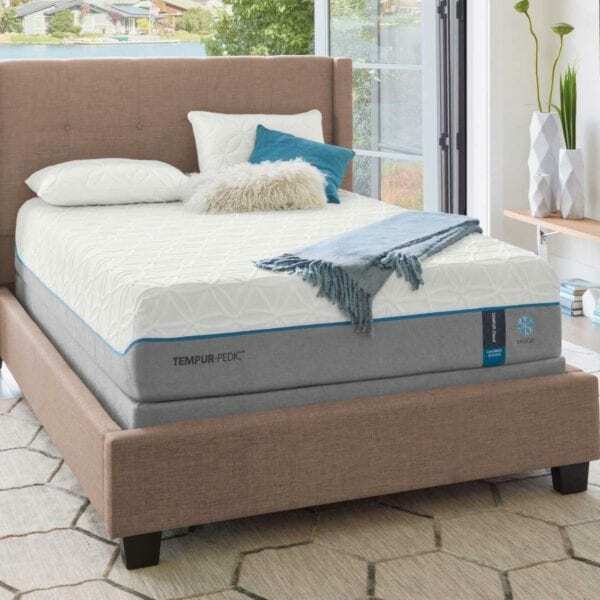 Tempur-Pedic has added to their dynamic collection of mattresses by including what they’re calling the Tempur-breeze line. Best Mattress is delighted to offer this new line to our customers. There are currently two options in the Tempur-breeze line, ProBreeze and LuxeBreeze. 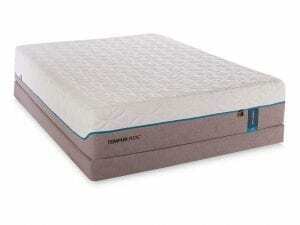 Both offer the signature luxury comfort of Tempur-Pedic, with the added benefit of layered thermal smart technology. Studies show that a lower climate temperature can aid in deeper and better sleep. With the new TempurBreeze line, you can expect to fall asleep in a cool micro environment between the mattress and your covers. 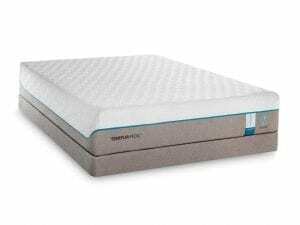 For up to twenty minutes, the TempurBreeze mattress will stay cool while you fall asleep and then maintin a cool mattress by continually cycling out humidity and heat throughout the night. 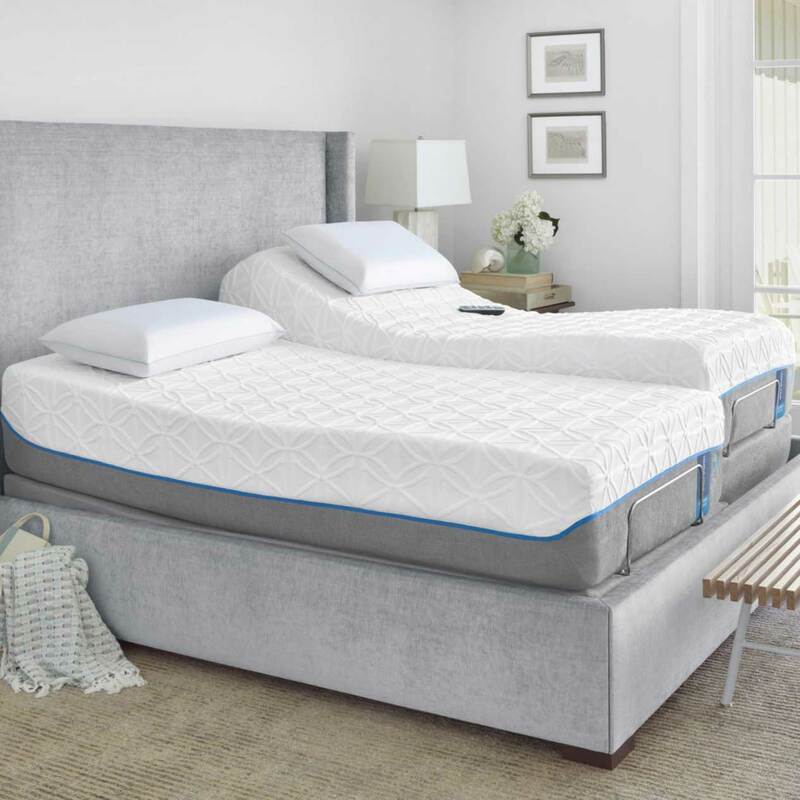 Read on to discover the benefits of the two mattress choices in the TempurBreeze line, and decide which one might be best for you. How does sleeping cooler help you sleep better? As night time approaches, our body temperature naturally drops. Our internal sleep rhythm called our circadian rhythm is attune to the setting of the sun and amount of waking hours we’ve experienced. As evening approaches, hormones like melatonin, signal the body that it’s time to prepare for sleep. If a bedroom or bed is too hot, it inhibits the body’s natural cooling mechanism, which can make it difficult to get sleepy and stay asleep. Fascinatingly, the hormone, melatonin is also responsible for slowing the aging process, aiding in fertility and preventing diseases like type 2 diabetes. 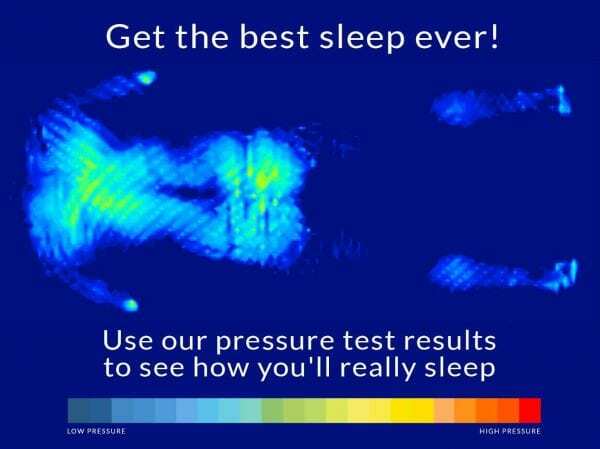 We all know it’s important to get a good night’s sleep as often as possible and now studies are increasingly showing the link between sleeping in cooler temperatures and positive health benefits. Keeping a room at about 60-68 degrees Fahrenheit is ideal for stimulating melatonin production and inducing sleep. There are ways to cool off a room or one’s body; wearing less clothing to bed, opening a window or lowering the temperature on the thermostat are all ways to try to control the environment we sleep in. However, it’s not always possible to wear less clothing, lower the thermostat or open a window. For example, if you have a new baby sleeping in your room who needs a warmer overall environment for themselves, it wouldn’t be a good idea to lower the thermostat. Or if it’s snowing outside, it wouldn’t be ideal to open the window. Additionally, those with naturally higher body temperatures may always struggle to maintain a lower temperature at bed time or through the night, which means these individuals will have a more difficult time signaling the body that it’s time for bed. Controlling the micro-environment between you and your individual bed space might be the best solution to maintain a low body temperature and experiencing better quality sleep and over-all health. The Tempur-pedic Tempur-breeze mattresses are designed to help the body get sleepy and stay sleepy through cooling technology. What’s different about the Tempur-breeze Tempur-pedic line of mattresses? 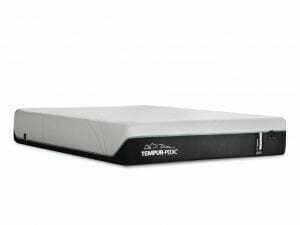 The Tempur-breeze mattress options feature specialized thermal technology called SmartClimate, which was developed in the Tempur-Pedic thermal lab. Tempur-pedic has your best sleep in mind when they designed the Tempur-breeze line to help regulate your body temperature and offer you the best sleep. The SmartClimate technology offers three essential layers that work together to keep the overall mattress temperature cool and help you sleep better. Layer 1: The first layer your body comes in contact with on the mattress is a dual cover system that feels instantly cool to the touch. Layer 2: For twenty minutes after lying down, you’ll feel the cooling comfort of the advanced PureCool+ Phase Change Material exclusively developed in Tempur-pedic thermal labs. Layer 3: This layer keeps you cool all night long. 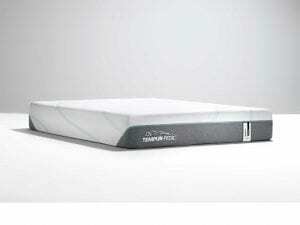 For up to 8 hours, this third layer cycles humidity and body heat out of the mattress. It’s a specially designed, extremely breathable comfort layer called Tempur-CM+. 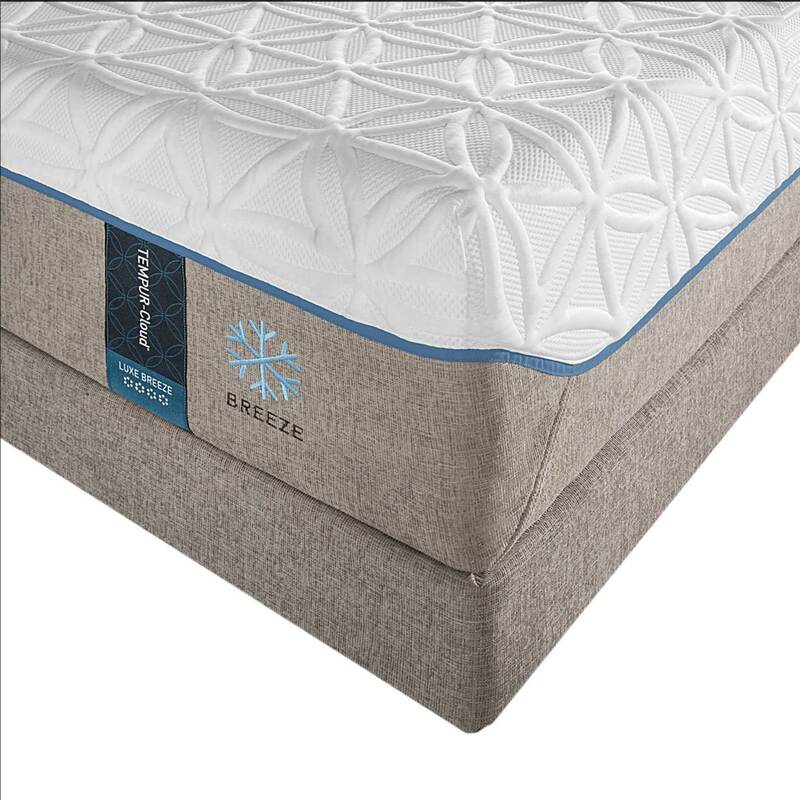 The PRObreeze selection offers cooling up to 3 degrees cooler than the average mattress. This option offers the standard comfort of Tempur-pedic support layer material and comes in medium to medium hybrid support. The LUXEbreeze selection offers cooling up to 8 degrees cooler than the average mattress. This option offers the ventilated Tempur-APR support layer and comes in both firm and soft options. Come in and try the new line from Tepur-pedic and let our sleep experts help you make a selection for better sleep. Don’t forget our 120 day guarantee which lets you try your mattress out for 120 days, risk free. If you aren’t happy with your purchase, you can make a hassle free return to Best Mattress before 120 days. As with any mattress, we suggest sleeping on it for at least 30 days in order for you and your mattress to be best acquainted. At best mattress, we truly want you to have the best sleep possible. 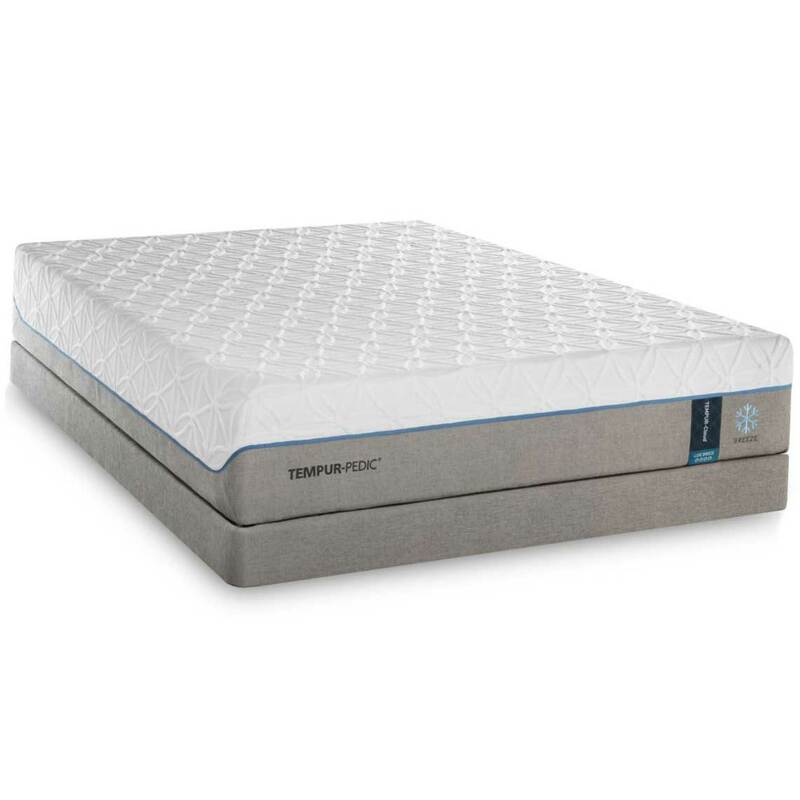 Come in to one of our showrooms today and talk to a sleep expert about the new Tempur-pedic Tempur-breeze mattresses!